The Ara Tuhono - Puhoi to Wellsford project is part of the Roads of National Significance (RoNS) programme. Image courtesy of New Zealand Transport Agency. The project begins with the 18.5km extension to the State Highway-1. Image courtesy of New Zealand Transport Agency. The second stage of the project will upgrade the Warkworth to Wellsford section. Image courtesy of New Zealand Transport Agency. 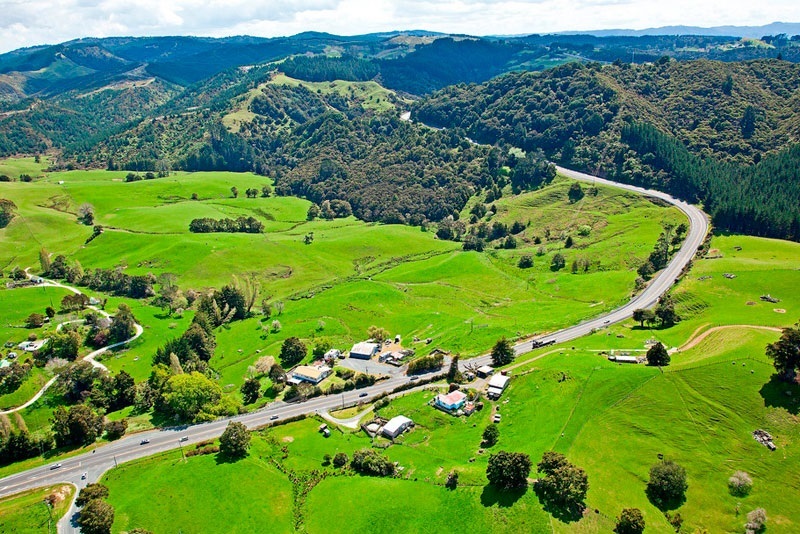 The Ara Tuhono – Puhoi to Wellsford project is proposed to upgrade New Zealand’s State Highway-1 (SH-1), which extends between Puhoi and Wellsford regions in northern Auckland. The project is one of the seven state highway projects identified under the New Zealand Transport Administration’s (NZTA) Roads of National Significance (RoNS) programme. First announced in 2010, the project was split into two sections to facilitate execution. The Puhoi to Warkworth section will be upgraded in the first phase, while the second phase will include improvement of the section between Warkworth and Wellsford. The Puhoi to Warkworth section received the necessary approvals and is being executed under the public-private partnership (PPP). Construction works of the section commenced in December 2016 with completion scheduled for late-2021. The New Zealand Government identified seven key state highway projects critical for the economic prosperity of the country, collectively referred to as RoNS. They are located around five highly populated metropolitan centres, including Auckland, Hamilton, Tauranga, Wellington and Christchurch. The RoNS programme envisages the improvement of the seven highways over the next ten years. It aims at significantly reducing highway congestion, and improving the safety and efficiency of people and freight movements between and within the cities. 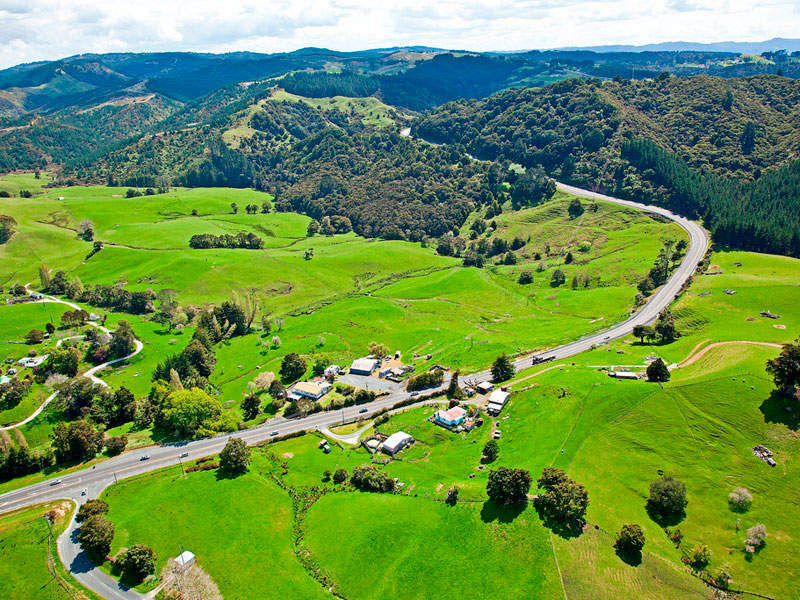 The Puhoi to Wellsford is a 38km stretch running through the Rodney area, north of Auckland on State Highway-1. "First announced in 2010, the project was split into two sections to facilitate execution." 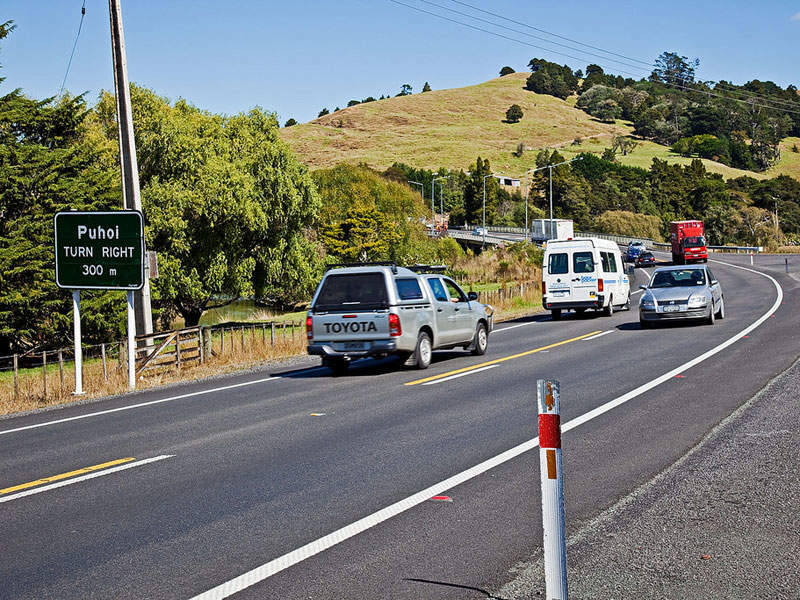 The proposed improvement project will extend the Northern Motorway (SH1) from the Johnstone’s Hill tunnels just south of Puhoi to a point north of Wellsford. It, thus, establishes a strategic connection between Auckland and Northland, enabling future regional growth. It will also improve the safety of the route, while improving the journey time reliability. The Puhoi to Warkworth section will be an 18.5km extension to SH1 from the northern gateway toll road (NGTR) at the Johnstone’s Hill Tunnels to State Highway-1, south of the Kaipara Flats road intersection, north of Warkworth. The motorway will traverse to the west of the existing highway and bypass Warkworth on the western side. It will continue as a four-lane dual carriageway, with two lanes on each side, divided by a central median with a safety barrier. SH-1 will become an alternative route owned and operated by Auckland Transport, once the new motorway becomes operational. The second stage of the project comprises the development of Warkworth to Wellsford section. The investigation for an off-line motorway between Warkworth and Wellsford, which is completely independent from existing SH-1, is in progress. 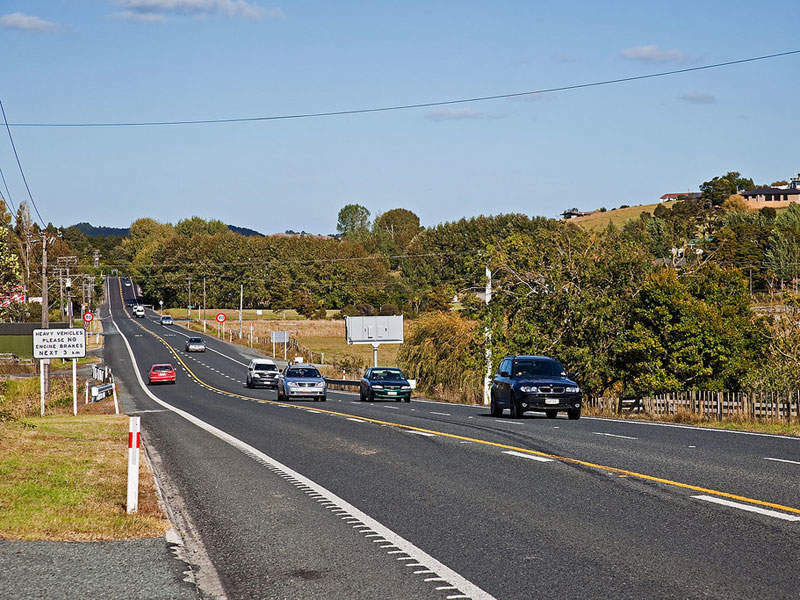 The indicative route for the project connects to the first section of the project to the north-west of Warkworth and heads north, crossing Woodcocks and Kaipara Flats roads. The new motorway will be located to the west of the existing SH1, in a separate valley until it reaches the Hoteo River. It will then traverse eastwards crossing SH1 and Wayby Valley road, where an interchange is proposed. Running parallel to the Valley road, the motorway will turn north and cross Rustybrook Road. It will further cross local roads including Whangaripo Valley, Farmers Lime and Silver Hill, bypassing both Wellsford and Te Hana townships. Another interchange is proposed near Mangawhai Road, where the new motorway connects back to the existing SH1 to the north of Vipond road. Necessary statutory approvals for the section will be seeked during 2017-2018, upon completion of the investigation. The PPP contract for the first section of the project, which includes the construction of Puhoi to Warkworth motorway, was awarded to Northern Express Group (NX2) consortium. The consortium comprises Accident Compensation Corporation, HRL Morrison & Co Public Infrastructure Partners, Acciona Concesiones, Fletcher Building, Acciona Infrastructure Australia, Fletcher Construction Company, and Higgins Contractors. Under the contract, NX2 consortium will finance, design, construct, manage and maintain the motorway for 25 years, following the five-year construction period. Macquarie Capital (NZ) is the commercial and financial adviser to NX2 consortium. The joint venture between Acciona Infrastructure and Fletcher Construction is responsible for design and construction of the project, while asset management and maintenance services will be provided by a joint venture between Acciona Concesiones and Higgins. The investigation work for the first stage of the project was performed by Sinclair Knight Mertz (SKM), a specialist in engineering and environmental issues. The first stage of the project requires af $760m investment, while the second stage is estimated to cost between $1.4bn and $1.8bn. The investment for the first stage is being co-financed by Public Infrastructure Partners II, Compensation Corporation, Acciona Concesiones, and Fletcher Building.